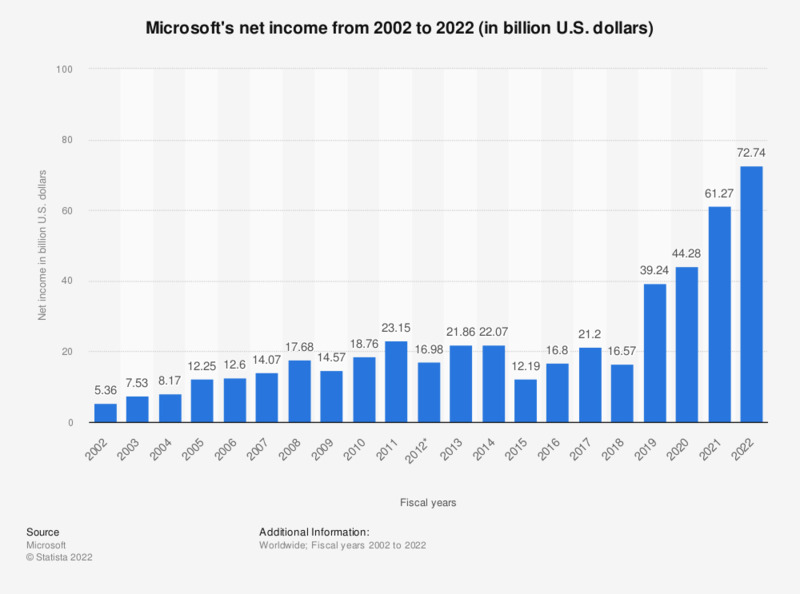 This statistic shows the net income made by Microsoft from 2002 to 2018. In 2002, Microsoft had a net income of 5.36 billion U.S. dollars. Despite bringing in record revenues in 2015, 2011 was actually the year that Microsoft reported its most successful fiscal year to date, with a net income of 23.15 billion U.S. dollars. The company's net income in 2018 was 16.57 billion U.S. dollars. * Profit decrease in 2012 primarily due to a goodwill impairment charge of 6.19 billion U.S. dollars.